An effective landing page can make or break your marketing strategy. Landing pages are used everywhere – in social media, SEO, PPC campaigns, direct mail offers, and more. A good, persuasive landing page grabs the attention of visitors and compels them to complete a conversion of some sort – fill out a form, make a call, etc. Learn how you can create a winning landing page with these simple tips. Your headline is the first thing your visitors sees when they land on your page. Make a great first impression with your headline and the visitor stays, make a bad one and they bounce. Make sure your headlines are clear, relevant, and address the users purpose for landing on your page. A landing page should have a single purpose and a single focused message. Too many different services or products can confuse users and lead them away from completing the goal. A call-to-action (CTA) is a button or link that you place on your landing page to drive prospective customers to become leads by filling out a form or completing an action on your landing page. What your CTA is depends on your product or service. Some examples include: sign up today, get a free consultation, schedule an appointment, start a free trail, and request more information. In general, make sure your landing page looks visually appealing on all devices (desktop, tablet, and mobile). Along with your amazing headlines and call-to-action buttons, your landing page needs to include visual elements likes images and videos. When you are selecting your imagery and/or videos, make sure you think about the overall goal of your landing page and whether or not that piece of media would make sense. Did you know, 92% of consumers read online reviews and testimonials when considering a purchase? Additionally, 88% of consumers trust online reviews as much as personal recommendations and 72% of them say positive reviews and testimonials make them trust a business more. Customer testimonials add credibility, reliability, and trustworthiness. Use them correctly on your landing pages and your conversion rate will keep on rising. 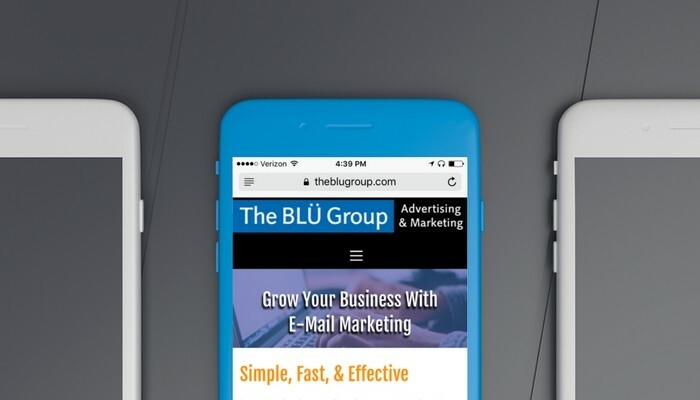 At The BLU Group – Advertising & Marketing, we specialize in all areas on online marketing and can assist you in creating (or strengthening) your landing pages. Give us a call at 608-519-3070 or shoot me an e-mail at amanda@theblugroup.com to discuss how we can help your business grow.